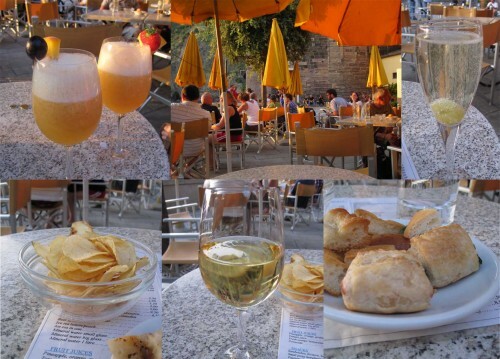 Cinque Terre is a hidden gem on Italy’s Ligurian coast that is a must-see. It’s becoming more and more popular, but the pedestrian-only towns with colorful buildings is still worth a trip. 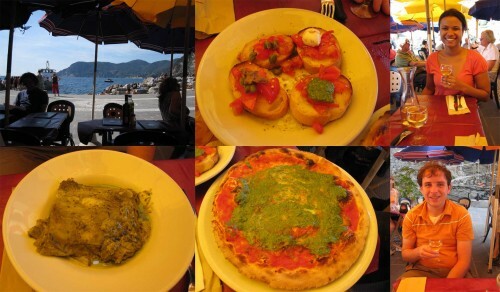 If you try one dish in Cinque Terre, try the trofie al pesto – Cinque Terre is the birthplace of pesto and this dish highlights the flavors. The homemade trofie pasta is mixed with pesto, green beans, and potatoes and goes great with a (cheap) glass of local wine. If your visit is longer, take advantage of the fresh seafood, caught earlier that day. 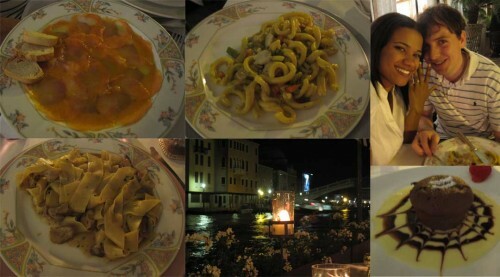 Price: $$-$$$ – I don’t remember the exact prices, but somewhere in the neighborhood of €10 for the main dishes. Overall thoughts: this restaurant is situated at the edge of the harbor, so it was a perfect spot to take in Vernazza on our first afternoon. Our waiter was very friendly and was encouraging me to practice my Italian (or my Spanish, if I felt more comfortable), which was a great was to be welcomed to the city. It was here that I really fell in love with bruschetta – the tomatoes were fresh, juicy, and full of flavor, and I loved their creative pairings with other local foods. Price: $ – reasonably-priced drinks with a 5-star view. Overall thoughts: one of my favorite spots from Cinque Terre – I still dream about this place! We reflected on our day while enjoying a drink and watching the sun set into the water. 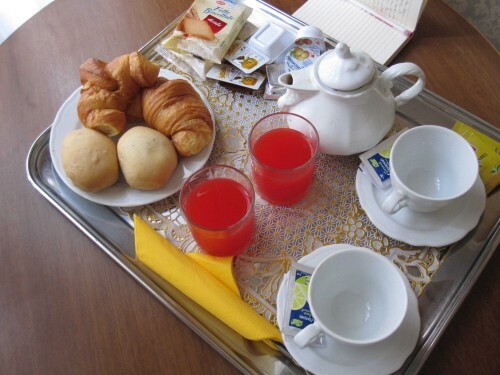 An added bonus was the snacks, which kept us from satisfied between lunch and dinner. Price: again, I don’t remember and I didn’t write anything down. I don’t think anything was too outrageous throughout Cinque Terre. Probably a $$-$$$ price range. Overall Thoughts: This meal was perfect as our first dinner. We tried it all – anchovies, trofie al pesto, seafood pasta, wine from the region, and local cheeses. The pesto was amazing – more Parmesan cheese than I typically taste, which was a huge plus for me. I also loved the additions of potatoes and green beans, and of course the trofie pasta itself – once mixed up, the trofie is left with a thick coat of pesto. 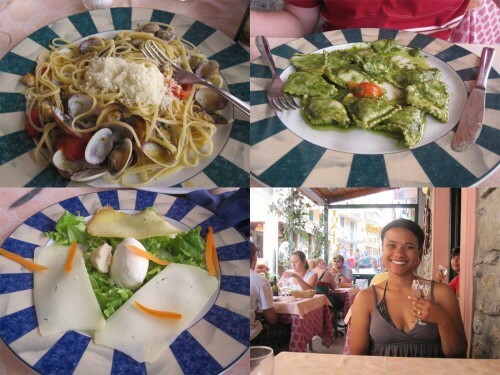 This is the dish to try while in the Cinque Terre! Overall thoughts: probably the worst meal in Cinque Terre, but it could have been because our experience wasn’t that great (as opposed to the food). I will say that the trofie suits the pesto sauce better than spaghetti/linguini. 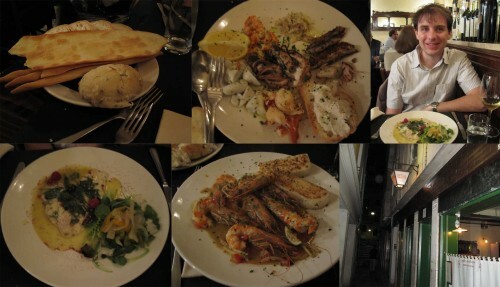 The seafood pasta was still fantastic and included a larger variety of seafood than normal. 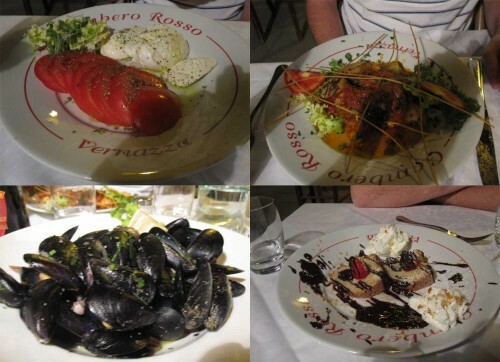 Price: $$-$$$ – this is getting boring, but it’s another very reasonably-priced dinner in Vernazza! Overall thoughts: another restaurant underneath the umbrellas. It seems you can’t go wrong with the restaurants around the harbor in Vernazza! Ryan tried the fresh anchovies which are another local specialty to try while visiting (much different than the salty canned anchovies, although those are great, too!). The crowds at the restaurant were lively, and we had fun people-watching while we enjoyed the meal. Overall thoughts: Luckily this restaurant stayed open a bit later than others in the area (we didn’t make it to Manarola until a little before 2:00pm). I stuck with one of my favorites: seafood pasta in a white wine sauce, which was an ideal lunch (light and fresh!). Ryan wanted another round of pesto pasta, this time in the form of ravioli, which was very tasty (I still like the trofie pasta the best). The outdoor seating allowed us to watch the busy walkway as people made their way down toward the marina. Overall thoughts: this is a great option if you want to sneak away from the main square in Vernazza. It’s a bit of a climb, but the result is an intimate restaurant with outdoor seating. I would suggest going for lunch or an earlier dinner to enjoy the views of the town and sea below. The food was consistent with our other meals in Cinque Terre – fresh, reasonably-priced, and delicious local specialties (pesto and seafood). Cinque Terre, and especially Vernazza, is on the top of my recommendation list for Italy. The pedestrian-only towns, the friendly locals, the carefree tourists, the sparkling sea, and the fresh and delicious food are just a few reasons to make a stop here on your trip. 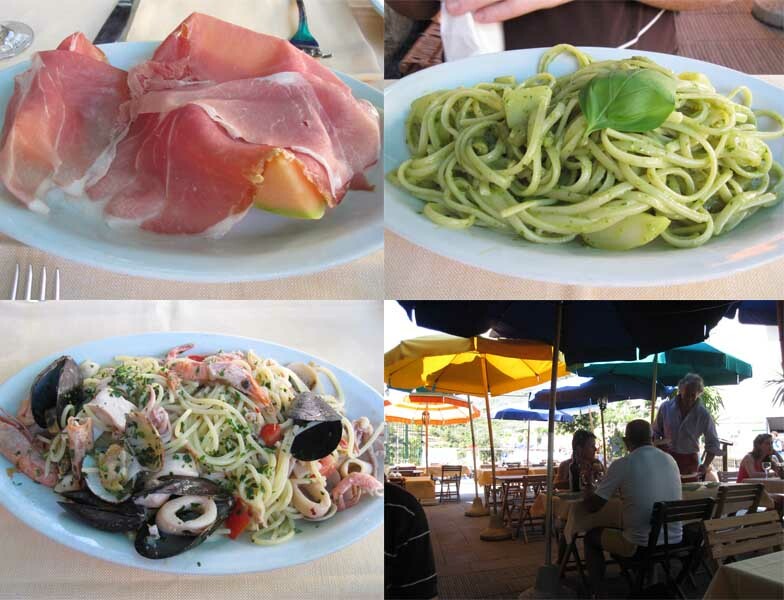 Don’t forget to try many of the local specialties – trofie al pesto, fresh seafood (including anchovies! ), and local wine. 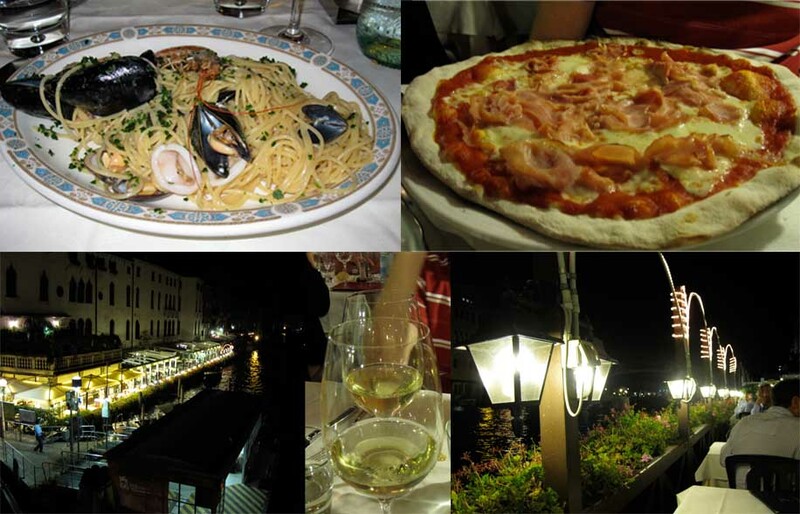 I can’t wait to visit again for another taste of the Ligurian cuisine!